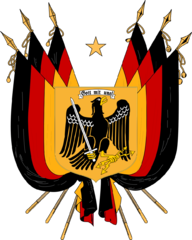 The German Reich is a democratic nationalist republic composed by twenty-six states, once ruled by the Hohenzollern dynasty and a fascist regime. The state of Germany was proclaimed on January, 18 1871 in the Hall of Mirrors of Palace of Versailles in the aftermath of the 1871 Franco-Prussian War. As the main victor of the Weltkrieg, Germany controls a vast overseas empire with colonial holdings in Africa, Asia and the Pacific. Germany is currently the most powerful country in the world with its influence stretching throughout the world. Germany's royal line fell after the German Reich Party won overwhelmingly in an election, keeping its territories. The Reich party kept the nation a racist white supremacist empire until it collapsed from outside influences, leading to German territory shortening up and democracy to take the Fascist's place. Today, Germany is a free country with strong ties to its cultural heritage. Germany host various cultures from different regions, among its most popular is the culture of Bavaria. Bavarian culture consists of its own beautiful folk music, celebration of the lovely landscape of the state, and a lot of drinking and dancing. Every year there is a massive Oktoberfest (an annual German holiday celebrating the Harvest) festival in München, bringing thousands of tourists from other parts of Germany and the world! One of the most proudful cultures of the German Reich is the culture of Prussia. From its strict militarism, to its high class education, noblility and royalty. 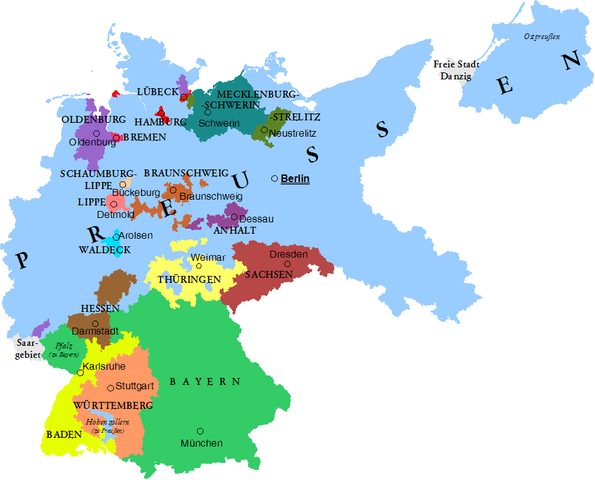 The Prussian state consumes most of Nortern Germany, which is mostly the original country of Prussia's territory. The national capitol of Berlin is located in the Prussian state. 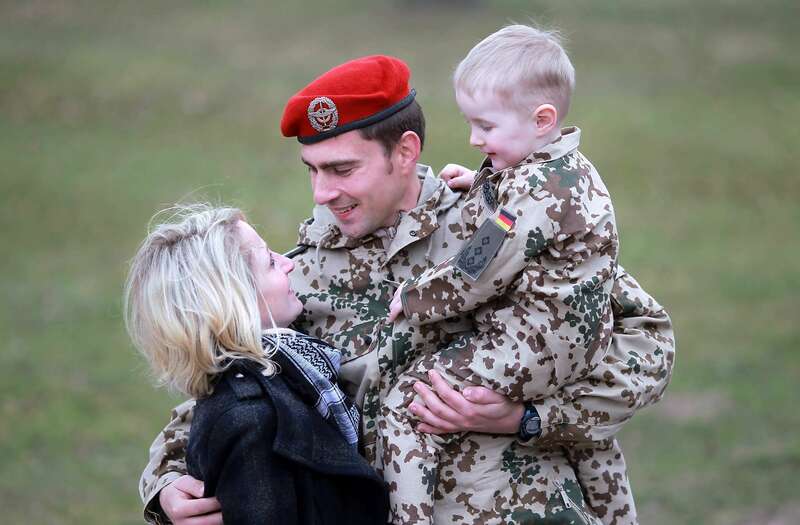 The German Military is one of the most advanced in the world. Equipped with modern gear, elite training and state of the art vehicles. This force succesfully drove back much of the enemy forces that have invaded the Fatherland in the past. 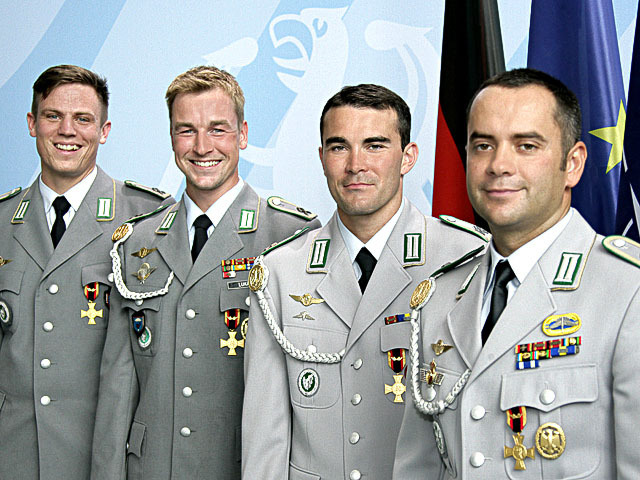 Der Deutsche Demokratische Reich is a freedom loving nation. With much to offer for the people of the world to come and see. Now done recovering from recent events, the Reich is better than ever and wants to show it to the world!